"Eye-opening... an invaluable look at where inequity begins, as well as the difficulty of getting to the place where it ends." "An urgent, inspiring and often heartbreaking look at teenagers who are playing for the highest of stakes." The 10-part documentary series America to Me makes its television premiere on STARZ tonight, August 26 at 9pm CST/10pm EST. Episodes 1 and 2 are also available now on the Starz app. #AmericatoMe is currently the best reviewed TV show debut of 2018, according to Metacritic. Academy Award®-nominated filmmaker Steve James (Hoop Dreams, Life Itself) examines racial, economic and class issues in contemporary American education in the multipart unscripted documentary series. Poignant and funny, epic and intimate, America to Me spends an academic year at Chicagoland's elite Oak Park and River Forest High School (OPRF), allowing its students, families, faculty and administration to tell stories of the pressures and challemnges teens face today in their own words. The director behind Hoop Dreams had a new series that begins tonight on Starz. 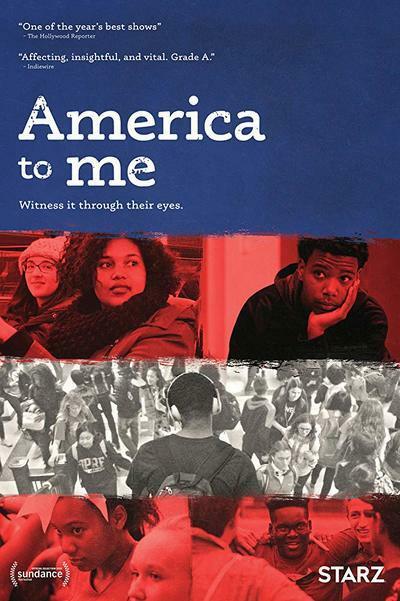 #AmericaToMe, a docuseries about racial inequity at Oak Park and River Forest High School, is premiering now @Starz.